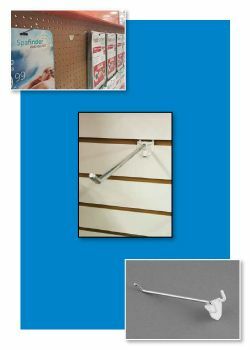 Easily remove hook from backer which remains in display if you want making it easier to move the hook on the display when the display hook is loaded with product. 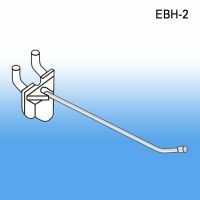 Minimum quantity for "2" Easy Remove Pegboard & Slatwall Hooks, Metal, EBH-2" is 25. 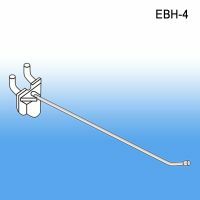 Minimum quantity for "4" Easy Remove Pegboard & Slatwall Hooks - Metal, EBH-4" is 25. 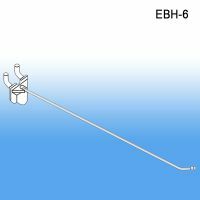 Minimum quantity for "6" Easy Remove Pegboard & Slatwall Hooks- Metal, EBH-6" is 25. 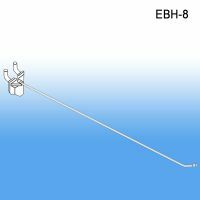 Minimum quantity for "8" Easy Remove Pegboard & Slatwall Hooks - Metal, EBH-8" is 25.